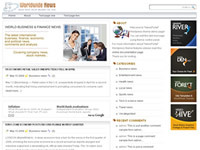 We have been creating Wordpress themes since 2007. Our design studio is aiming to help others to discover Wordpress not only as blogging platform, but as the instrument that allows to realize various serious business projects. Sidebar position settings in theme options page Two widgetized sidebars. Adsense ready. All you need is to include your Adsense-ID in theme settings. You can also disable Adsense ads. 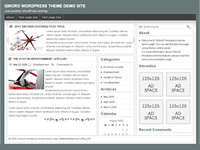 All the wordpress themes that we create are compatible with modern web standards. 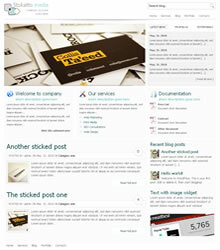 We've taken Wordpress slogan "Code is Poetry" to our job, that's why our wp themes contain clean and clear code. Hope you like our themes, and we'd be cheerful if you recommend our site to your friends.